August is a valuable month of the year. It is the last month of summer, making it a transition from holiday life to school and work life. It is the month to finish up on all the remaining fun activities and start planning for the transition. 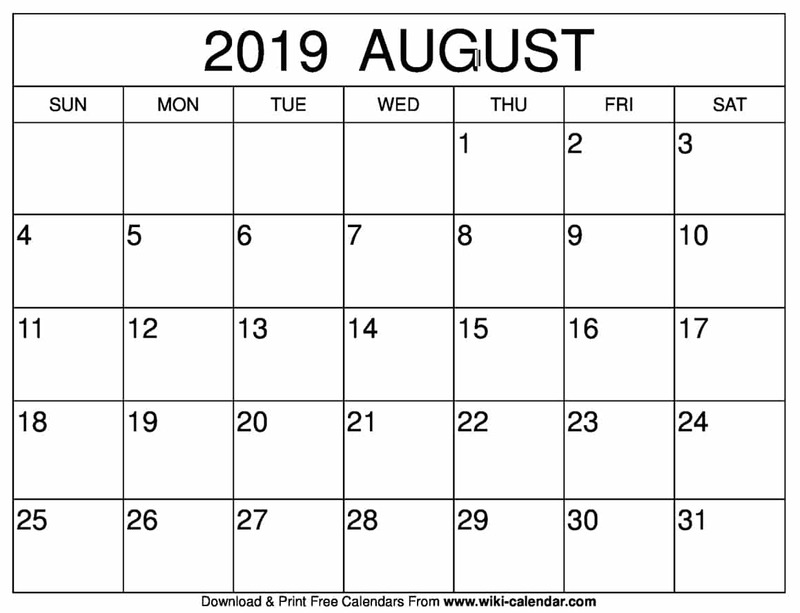 With a well designed August 2019 calendar template, you can easily schedule all these activities into its 31 days. August holds a special slot on the calendar; it is the last month of summer. This is why so many people love and hate August. You want to make the most out of your last few summer days and do all the remaining fun activities. At the same time, you still have to face the preparations of going back to school or work in September. For some people, this can be quite challenging. 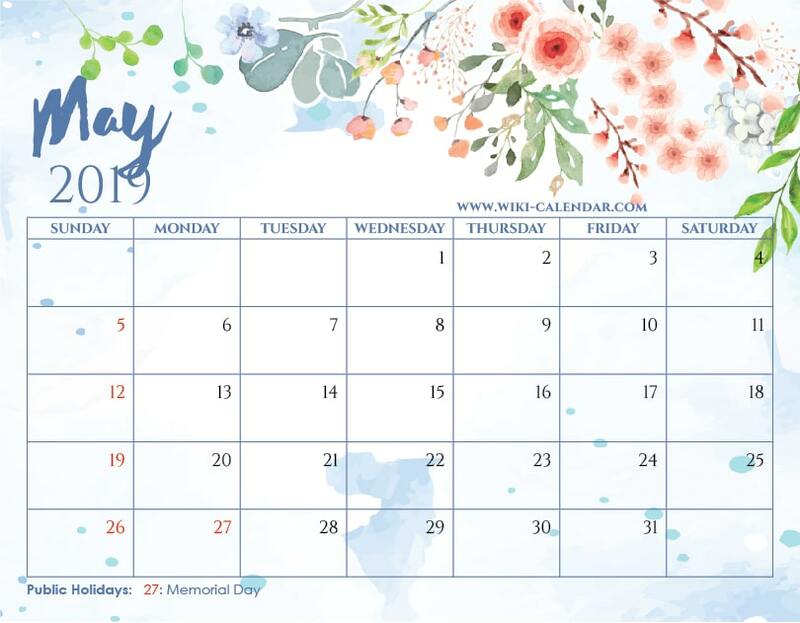 But with a beautiful August 2019 Calendar, you can plan for all your remaining holiday activities, and a smooth transition to school and work activities. If you like to use a floral calendar in horizontal orientation, this can be the perfect choice for you. 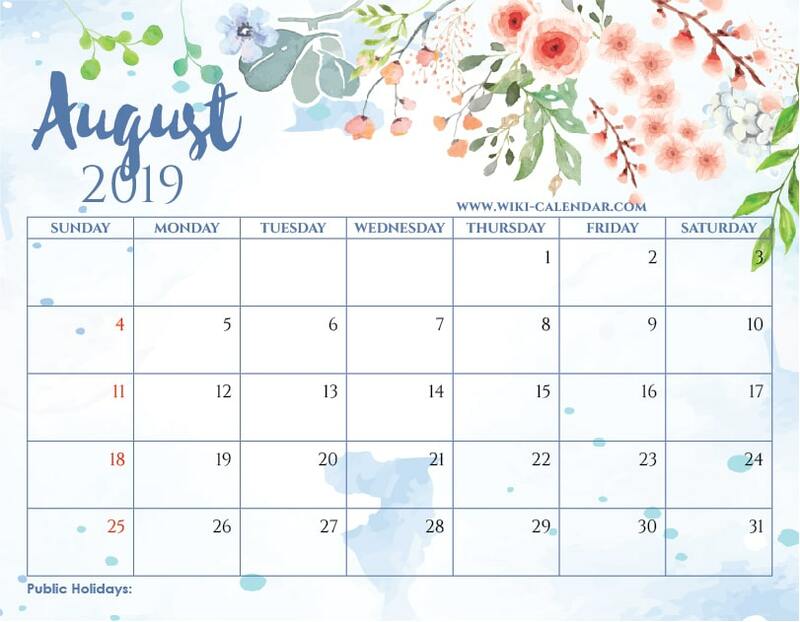 Here is your Free Printable August 2019 Floral Calendar with Holidays! The textured paper background plus the hand painted floral elements are pretty awesome. They will inspire you to have an amazing month ahead! August 2019 Floral Calendar templates are available in various formats including PDF and JPEG printable. The only sure way of making the most out of August is by planning for the month’s activities beforehand. You need to accommodate all your remaining summer activities into its 31days. This kind of planning requires a well designed August Calendar template. This can make the scheduling and organizing an easy and lively activity. The August 2019 Calendar Printable templates come in various designs. There are monthly, weekly and daily organizer templates. Both horizontal and vertical arrangements are available. You also have the freedom to choose the color of your choice from our wide array of colors. If none suits you, you can customize your color, for any design. Apart from the classic calendar templates, there are artistic and creative designs that can make your calendar more appealing to look at. These feature in themed templates. Some of the popular themes for August include Travel and Back to school themes. 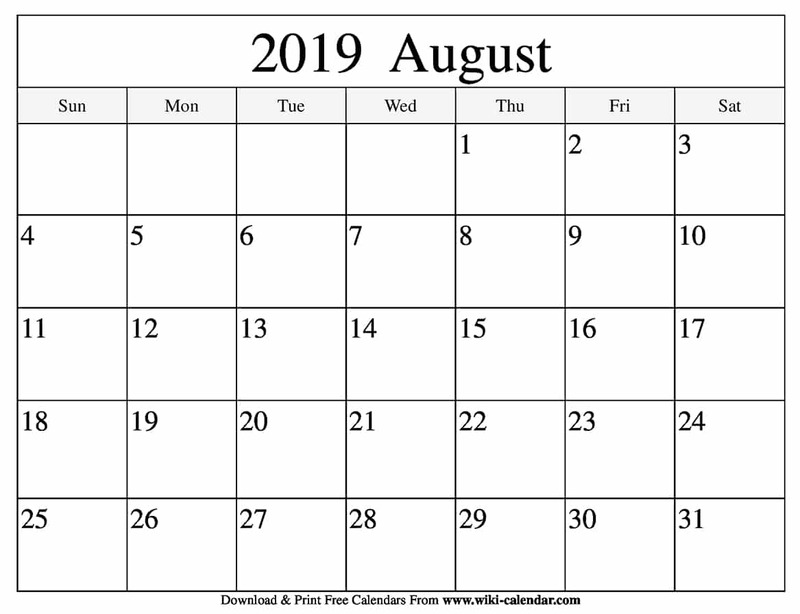 In addition, there are photo templates for the August 2019 calendar. In these templates, you can add a personal photo to the month’s calendar. It can be a surfing picture or a selfie taken during while on safari during the summer. These simple photos can really cheer you up every time you look at the calendar. 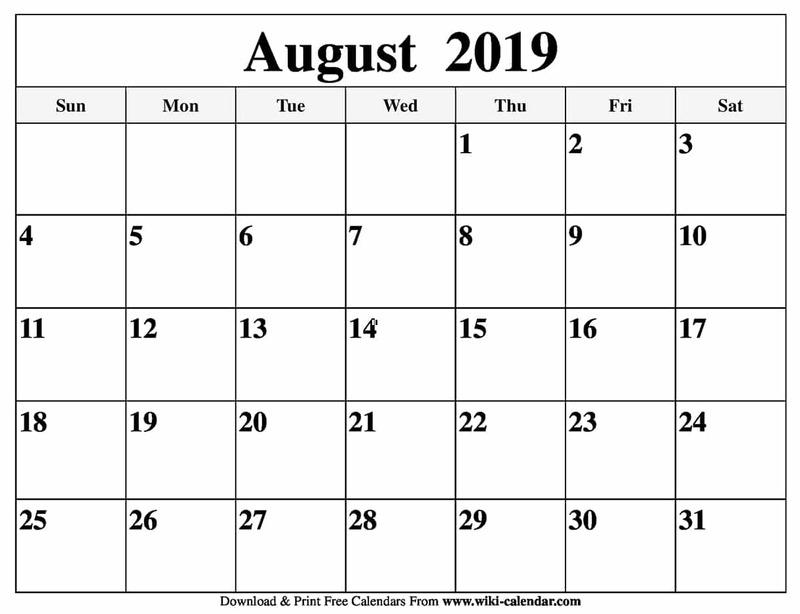 Getting a Blank August 2019 Calendar template is quite easy. They are available for free download on our site. You can download the template of your choosing in any printable format, including PDF and JPG. August is the 8th month of the year in the Gregorian calendar. In the ancient Roman empire, the month was named Sextillis, meaning the sixth month of the year. This was because the year begun in March during that era. Sextillis was later renamed to August, in honor of the emperor Augustus who triumphed in several battles in Egypt, on this very month. Today, August is the last month of summer for Americans. It is also the peak month of summer. The temperatures are in the 80 degrees range and humidity at its peak. Everyone has fully forgotten what school and work life feels like and has been having fun for two months straight up. This is the 21st century August. 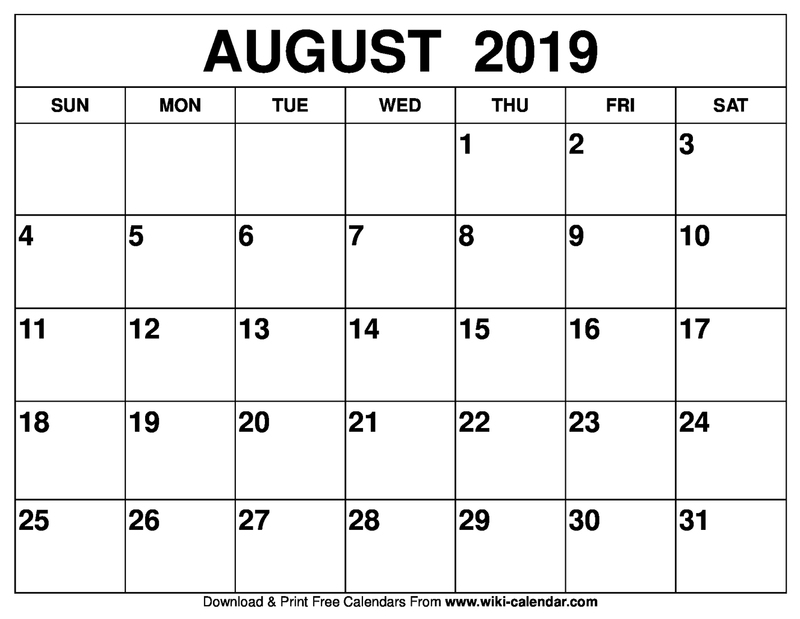 Unlike most months of the year, August does not have a lot of holidays and events. It is a rather quiet month. It gives you ambient time to finish up your holiday activities, and start preparing for Fall activities. The few holidays in August have a deep emotional or patriotic meaning. These include the national friendship day, purple heart day, national sister day, and international girlfriend day. This month is also the month for Leos and Virgos. It is the month to celebrate the birthdays of the August babies. There are also several anniversaries in the month. A good number of couples celebrate their marriages in this month due to the preference for summer weddings. There are also several military anniversaries in this month. This is an unofficial holiday celebrated on 7th of August every year. It is a day to commemorate the creation of the Purple Heart Medal. This is a military medal of honor given to soldiers who are injured or die in battle. It is, therefore, a day to pay tribute to all soldiers who have fallen in the line of duty. The history of this day is quite deep and touching. George Washington created this badge in 1782, towards the end of the Revolutionary War. The badge was to honor soldiers who showed extraordinary bravery in the war and were injured or killed while fighting. The badge is in the shape of a heart, representing the bravery of the soldier. It is purple in color with golden edges and an image of George Washington in the middle. It is a true symbol of bravery. Washington awarded the badge to three soldiers on August 7th, 1782. Since then, this became a tradition in the military. It became quite popular in the 1st world war where thousands of American soldiers died in battle. Today, over 1.8 million soldiers have received the Purple Heart Medal, and this is the day to remember them. Though not celebrated by most people, veteran and military organizations value this holiday. They hold meetings in remembrance of their fallen friends. You can also see a lot of patriots raising their flags on this day. It is a day to show solidarity for our troops. The international friendship day is another holiday to look forward to in August. the first Sunday of every month is the marked date. It is a day to appreciate the people in our lives who love us, not because they have to, but because they choose to. Most people get their friends’ simple gifts such as bracelets, necklaces and gag gifts. It is a date you should definitely mark on your calendar. Celebrating such holidays can really spice up your month. In conclusion, August is like a double-edged blade. The summer weather is at its best, calling you to take part in all the fun outdoor activities. At the same time, Fall with all of its back to school activities is lingering on your head like an executioner’s blade, ready to drop any second. You, therefore, have to balance the two in an intricate manner. And this is easily achievable with a well laid out Printable August 2019 Calendar template. 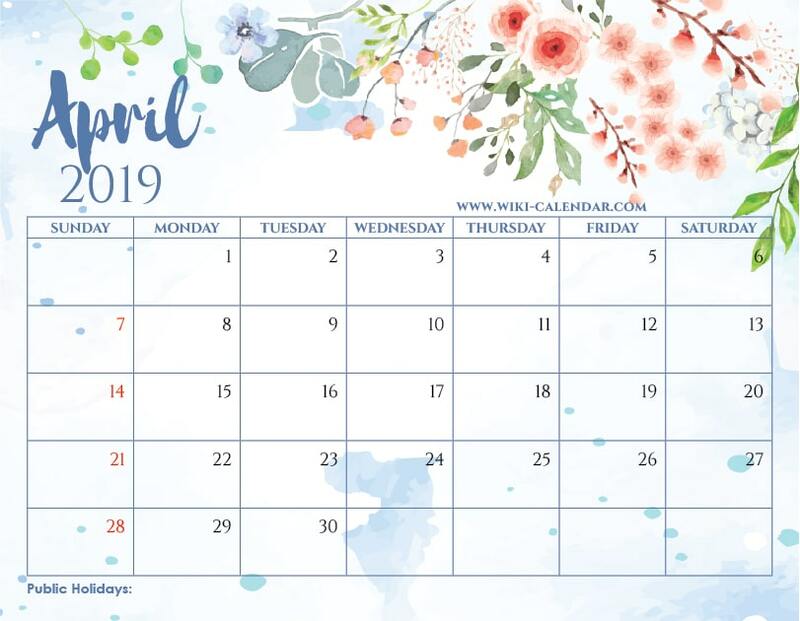 Your calendar is super cute and I love the colors. Thanks for sharing it.